UFO SIGHTINGS DAILY: Moon size UFO recorded by NASA near Earths sun, July 31, 2018, Video, UFO Sighting News. Moon size UFO recorded by NASA near Earths sun, July 31, 2018, Video, UFO Sighting News. Here is a moon size UFO near our sun this week. 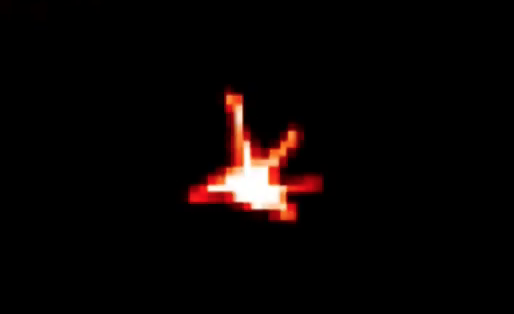 The UFO has several long arms, which makes me think this is a space station that wanders our solar system. Currently its near our sun because its trying to use some rare particles that the sun produces to power its craft and devices. 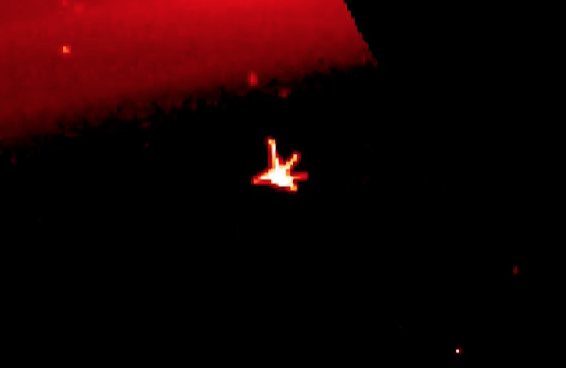 Found in the SOHO NASA images, this UFO is just one of many per day that visit our sun. Some UFOs are many times bigger than this, yet go unreported, because...how would the public react if they knew that not only were we not alone in our solar system, but UFOs bigger than earth itself commonly passed by our planet? The public would panic, suicide rates would skyrocket, alien religions like Scientology would become powerhouses in the religious sectors, anti alien groups would form and arm themselves. And what effect would this have on financial and judicial systems of the world? There would be chaos! Therefore the governments of the world remain silent.